This document describes how to assign negative values to a Blackboard test. In the top right corner of the test canvas screen, click the Questions Settings button. 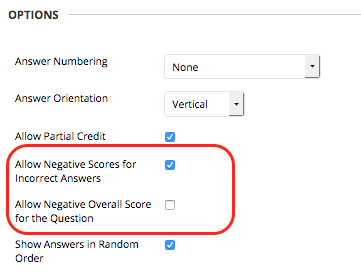 Scroll down to the Scoring section and place a checkmark next to Specify negative points options for answers. Edit your test question. Now you will see an option for negative scoring. Place a checkmark next to Allow negative scores for incorrect answers. 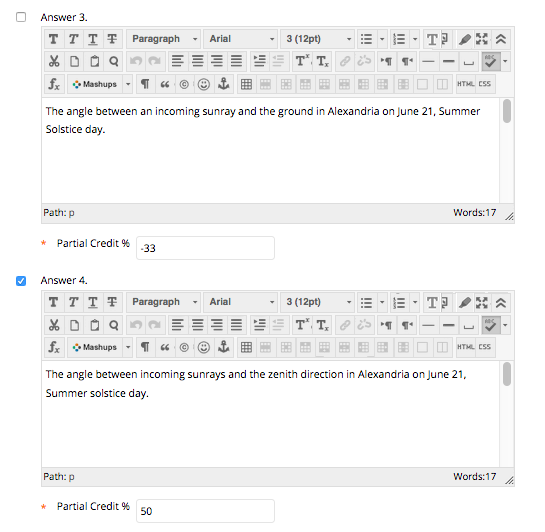 Assign negative values for each incorrect answer.